Washington, D.C., April 6, 2018 – Secret CIA interviews with East bloc scientists and technicians in the mid-1950s yielded invaluable insights into Soviet nuclear capabilities, according to recently declassified intelligence records posted today by the George Washington University-based National Security Archive. 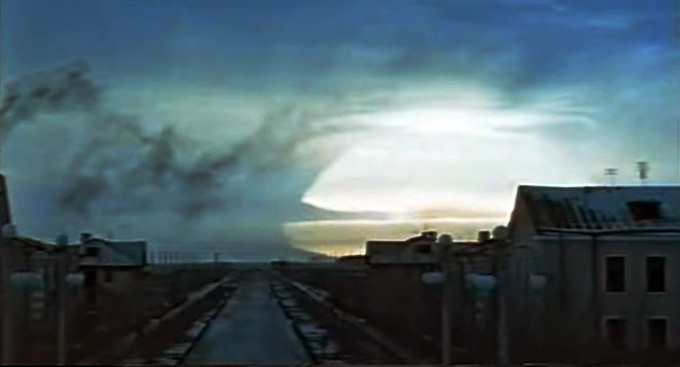 One riveting account came from an eye-witness to a late 1955 nuclear blast near Semipalatinsk, which analysts subsequently concluded was the first Soviet test of a two-stage thermonuclear device – developed by the so-called father of the Soviet hydrogen bomb, Andrei Sakharov. Today’s posting highlights several reports of interviews with well-placed sources, some of whom were targeted by a joint British-American intelligence activity code-named Operation DRAGON, aimed at persuading key figures to defect to the West. During the Fall of 1955, a confidential source would later tell U.S. intelligence officials, he had been at work at a soda plant in Kazakhstan when he suddenly experienced a “significant change in pressure on his ear drums,” causing his hearing to go out briefly. According to a CIA report published for the first time by the National Security Archive, the source recalled that the ground began to shake and the workers were ordered out of the plant. Buildings in the area began to oscillate “as if they had been set in motion by the ground.” Moreover, the air was “crackling with pressure;” as if the “air was tearing up.” Then he turned around and saw “the upper third of a large fireball on the southwest horizon,” appearing in “color and intensity like a bright sun shining through a haze.” Realizing that he had witnessed a nuclear test, the source later heard that it had caused several deaths in the area. It is likely that the witness experienced the effects of the Soviet Union’s first test of a two-stage thermonuclear weapon (invented by Andrei Sakharov), air-dropped at Semipalatinsk on 22 November 1955, although he recalled the event as taking place on 8 December 1955. The report on the Soviet thermonuclear test is one of a number of intelligence products by the CIA and other intelligence agencies issued in 1957 and declassified last year in State Department records at the National Archives. All of the documents in today’s publication were the result of U.S. and British intelligence’s intensive efforts to interrogate defectors and other sources to expand knowledge of the progress and direction of the Soviet Union’s nuclear weapons program. Three CIA reports on the contribution of German scientists and technicians, many captured or detained during or after World War II, to the Soviet Union’s nuclear program. The reports drew entirely on information provided by interviews U.S. and British intelligence conducted with the German returnees during 1954-1955. A Naval Intelligence report of a dinner conversation with East German nuclear scientist Heinz Barwich, whom U.S. intelligence may have targeted for possible defection. Barwich had won the Stalin Prize for helping the Soviets produce enriched uranium, and later defected to the West. A CIA report from a source who had worked at the construction site of the highly secret plutonium production plant at the closed city of Krasnoyarsk-26 in Siberia. The report of the conversation with East German scientist Heinz Barwich identified him as a DRAGON, which meant that he was within the scope of a British-U.S. intelligence program, initiated during the late 1940s, which sought to identify German scientists who were working on the Soviet nuclear project and ascertain when they were going to return so their knowledge could be tapped. The program was codenamed Operation DRAGON. For those scientists who went to East Germany, U.S. and British intelligence secretly encouraged them to defect so they could be interviewed (under Operation DRAGON RETURN). British intelligence invented both codenames, but apparently U.S. intelligence used them as well. 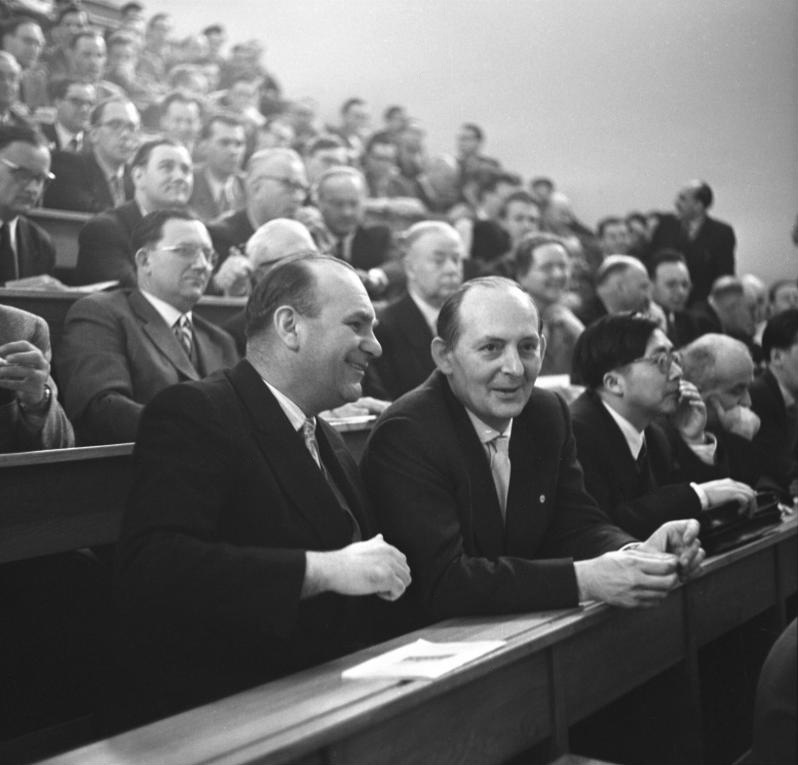 The Germans who had worked in the Soviet nuclear program were a potential bonanza for Western intelligence because they worked in a number of institutions and on research and development programs, had worked with Soviet scientists, and had practical experience in working with the Soviets to solve scientific and technological problems. Some of the scientists and technicians had been prisoners of war, some had volunteered for political or financial reasons (a “flight from hunger”), and many had been swept up in Germany by special Soviet teams and deported to the Soviet Union. Even those who had volunteered did not expect to remain for more than a few years, but most were in Soviet hands for years. For the most part they were not released until 1954-1955, but only after a few years of “cooling off,” where they worked in routine factory jobs, so their knowledge of the Soviet atomic program would be less current. Drawing on information yielded by the DRAGON RETURN program, three of the CIA reports in today’s publication are part of a series assessing the contribution of the German scientists to the Soviet nuclear program. One (Document 1) is a general appraisal, while two others (Documents 4 and 5) cover the work of German scientists at two specific institutions, the Sungul Institute and the Atomic Research Institute at Obninsk. As noted in the reports, “All information presented herein has been obtained from the testimonies of returned German and Austrian scientists and technicians.” Other reports on the German scientists identified in these documents are the subject of a pending declassification request to the CIA. Other documents published today are the results of interrogations of sources that remain completely unknown. To protect sources and methods the CIA has excised from the first page of the reports all information discussing the informant and his/her background. The exception, and an interesting contrast, is Document 2 which includes U.S. Army intelligence’s detailed description of the source, a Hungarian army officer who had defected during the 1956 Hungarian Revolution and emigrated to the United States. Why Army intelligence can declassify source information while the CIA will not release any from its reports is an interesting puzzle that is not easily solved. Archival source: The documents identified below were found in Record Group 59, Department of State records, U.S. National Archives, Records of the Special Assistant to the Secretary of State for Atomic Energy Matters (S/AE), General Records Relating to Atomic Energy Matters, 1948-1962, Box 534, Z1.91 Country File USSR F. Intelligence Reports May-December 1957, Parts 1, 2, and 3.
. For Operations DRAGON and DRAGON RETURN, see Paul Maddrell, Spying on Science: Western Intelligence in Divided Germany 1945-1961 (New York: Oxford University Press, 2006), 181-183, 204-235, and Mitchell Goodman, Spying on the Nuclear Bear: Anglo-American Intelligence and the Soviet Bomb (Stanford: Stanford University Press, 2007), 177-179. See also Paul Maddrell, “British-American Scientific Intelligence Collaboration during the Occupation of Germany,” Intelligence and National Security 15 (2000), 74-94. For a declassified CIA article that refers to DRAGON, in the context of a fascinating account of the early U.S. intelligence efforts to plumb Soviet nuclear activities, see Henry L. Lowenhaupt, “On the Soviet Nuclear Scent,” Studies in Intelligence, 11( Fall 1967), 13-29.
. Pavel V. Oleynikov’s “German Scientists in the Soviet Atomic Project,” The Nonproliferation Review, 7 (2000), 1-30, provides a valuable account of these developments.
. Oleykninov’s conclusions in “German Scientists in the Soviet Atomic Project,” at pages 1 and 26, are parallel, although he emphasizes the great value of the 300 tons of German uranium seized by the Soviet Union at the end of World War II.
. Erik Laszlo, “Soviets stored nuclear warheads in Hungary,” United Press International, 22 April 1991.
. David Holloway, Stalin and the Bomb: The Soviet Union and Nuclear Energy, 1939-1956 (New Haven: Yale University Press, 1994), 316-317.
. For the development of Cheliabinsk-40, see Holloway, Stalin and the Bomb, 184-189.
. For overviews, see “Kyshtym – The Nuclear Disaster Both the Soviets & the U.S Tried to Hide,” n.d., Sobify and “The Kyshtym Accident, 29th September 1957,” Norwegian Radiation Protection Authority, NRPA Bulletin, 8 (2007).
. “Physicist Oswald F. ‘Mike’ Schuette,” The Washington Post, 10 August 2000.
. For the role of Barwich and other German scientists in the Soviet gaseous diffusion project, see accounts by Oleykninov, “German Scientists in the Soviet Atomic Project,” 19-21, and Holloway, Stalin and the Bomb, 190-192.
. Paul Maddrell, “The Scientist Who Came in from the Cold: Heinz Barwich’s Flight from the GDR,” Intelligence and National Security 20 (2005), 608 – 630.
. Dino Brugioni, Eyes in the Sky: Eisenhower, the CIA, and Cold War Aerial Espionage (Annapolis: Naval Institute Press, 2010), 168-169.
. 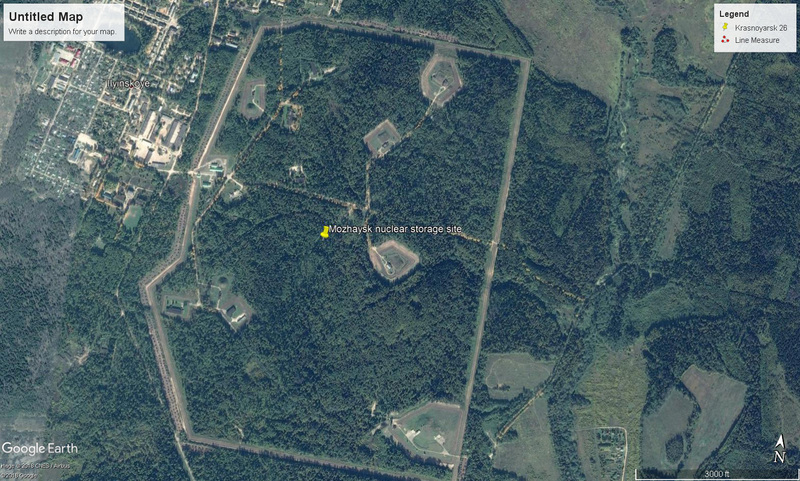 In a Studies in Intelligence article, CIA nuclear expert Henry S. Lowenhaupt wrote that a returned German prisoner-of-war provided information about the Krasnoyarsk site. 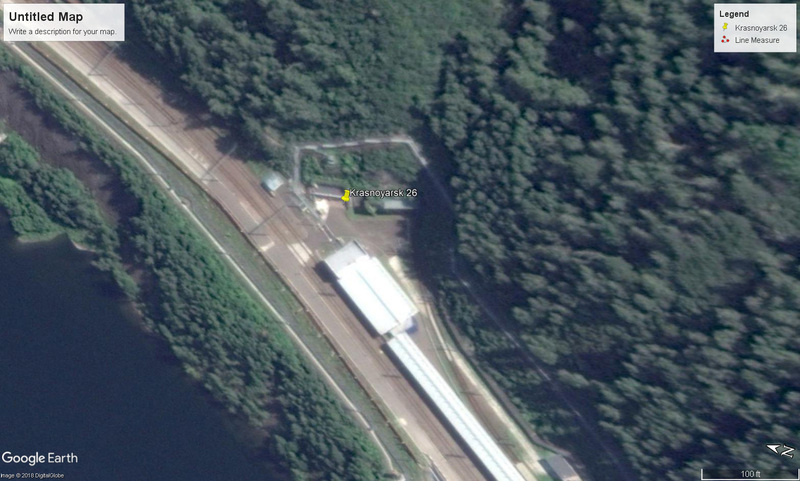 According to the article, the former POW identified the nearby town as Komsomolsk na Yenisey, but Lowenhaupt may have been in error because no such town can be identified. However, the word Yenisey, a river near Krasnoyarsk, is included in the name of the town mentioned in Document 9: Severo-Yeniseyskiy. See Lowenhaupt, “Mission to Birch Woods Via Seven Tents and New Siberia,” Studies in Intelligence, Fall 1968, 1-12.